Dated. This is the third ornament in the Merry Olde Santa series. Hallmark Keepsake ornament. This is the 4th ornament in the Merry Olde Santa series. This is the sixth ornament in the Merry Olde Santa series. Hallmark Keepsake ornament. This patriotic Santa is the 7th ornament in the Merry Olde Santa series. 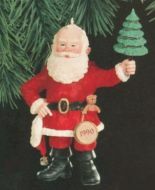 This is the eighth ornament in the Merry Old Santa series. This ornament is 4 7/16 inches tall and was designed by Joyce Lyle. This is the 9th ornament in the Merry Old Santa series. 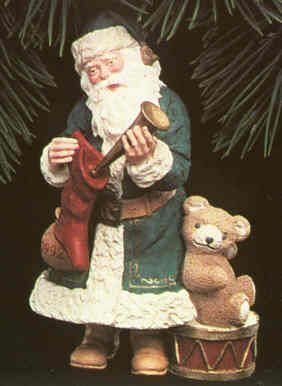 Duane Unruh sculpted this Hallmark Keepsake ornament.